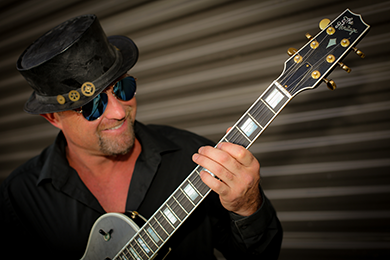 Critically acclaimed blues maverick, Shane Dwight, will perk up your ears after the first chord of No One Loves Me Better out on Red Parlor Records out on April 5, 2019. This esteemed independent label has long been a champion of music’s best songwriters. This new collection of songs are some of his most personal yet– gut-wrenching, bone-chilling, and heartbreaking to date. The story of a man finding love, committing a crime and wanting redemption runs deep in Shane’s songs. USA Today called him, “an ace songwriter” and this time it rings truer than ever. From the heartwarming “No One Loves Me Better” to the dark “Bullets And Gasoline” to the sassy “Sucker,” Shane nails life to the wall like a wanted sign out in the wild west. Shane’s songwriting has evolved so far that he may be untouchable for a while, and fans won’t be able to get it out of their heads, critics won’t know what to do with him. But one thing’s for sure; he’s here to stay. Recorded at Grammy Award-winning Kevin McKendree’s studio in Franklin, TN with a mega all-star cast of players the sounds of this album, are slick, powerful and groove driven. The heartbeat of the drums and the entanglement of guitars mix well with Shane’s raspy voice. The eccentric guitar tunings bring the haunted voices to life; you can almost see the movie. No One Loves Me Better, ends with a warning, with “The Trial Of A Poet” – a creepy resonator combined with calling background vocals from the renowned Bekka Bramlett; it’s filled with fog, crunchy leaves, and a flashlight.